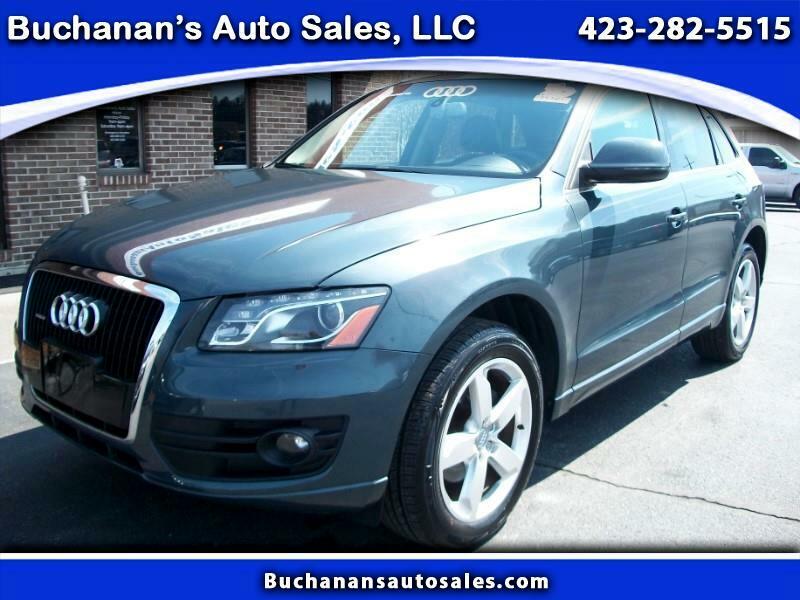 2009 AUDI Q5 3.2 Carfax Certified 1 Owner No Accidents Reported....SUPER SLICK MIDSIZE AWD SUV, 1 OWNER....This Audi Q5 is a super nice ride and has been very well cared for by the 1st owner. Interior and exterior are in great shape and it drives out like a BOSS as well! Equipped with all power options,power heated leather seats, steering wheel controls, bluetooth compatible, panoramic sunroof, power lift gate, etc. If you have been wanting to upgrade your SUV game, this ride will definitely get you there!!! Come and check it out before it is gone! We have been selling quality used cars and trucks from the same Boones Creek location for over 40 years, no hassles and never any hidden fees.